Shirts With Random Triangles: New Trailer Released For Natalie Portman Western Jane Got A Gun. 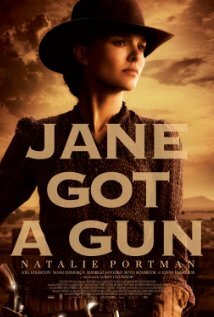 New Trailer Released For Natalie Portman Western Jane Got A Gun. Ready for a western? Lionsgate UK has released a trailer for the film Jane Got a Gun, staring Academy Award winner Natalie Portman as a woman trying to protect her family from a gang of outlaws led by her Star Wars Episode I: The Phantom Menace co-star Ewan McGregor. The film has a troubled history, including multiple casting changes and the bankruptcy of the film's former distributor.